In recent years, efforts to adapt social and therapeutic interventions to the particular needs of Israel's Arab society through the government’s 360 National Program for Children and Youth at Risk in Israel have led to increased utilization of services and successful outcomes in some of Israel's Arab communities. These have included, for example, the successful establishment of a "warm home" for girls in Akko, a fathers' group for pre-school age children at risk in Shefar'am, and the first child-parent center for children with emotional and behavioral challenges in the Bedouin city of Rahat. As part of its ongoing cooperation with Myers-JDC-Brookdale (MJB) since 2013, the 360 National Program commissioned from the institute three recently published studies about adapting social and therapeutic interventions for Israel’s Arab society. The studies were commissioned in an effort to document how interventions have been adapted to Arab society; to balance theoretical knowledge among professionals in the field with insights gleaned from work with Arab communities; and to explore the aspects of Arab society that require approaches and practices to be adapted if they are to succeed. The 360 National Program, an inter-ministerial program headed by the Ministry of Social Affairs and Services, aims to mitigate factors that place Israeli children and youth at risk by enhancing and expanding intervention services in communities nationwide. The program operates in 185 localities, 85 of which are Arab and 10 of which are mixed Arab-Jewish. Two of the studies are part of a series of MJB publications, "360 – The National Program for Children and Youth at Risk Learns from Success,” and document select cases of the program's successful intervention within Arab (full report in Hebrew) and Bedouin (full report in Hebrew) populations in Israel, respectively. The third study, Intervention Practices Adapted to Arab Society in Israel's Social Service System (full report in Hebrew), is based on a review of literature largely from the past decade and details characteristics of Arab society that affect intervention processes, including how services are utilized and received, and attitudes toward professionals. The following summarizes the primary insights offered by the studies and highlights how they overlap and reinforce one another. Arab society in Israel is a dynamic and diverse community with a traditional orientation, and one that is undergoing an ongoing transition from tradition to modernity. Both Arab and Jewish service professionals in Israel often struggle with tension between Western theoretical knowledge acquired during training and the more traditional aspects of Arab communities and families. Some cultural factors identified by the “Intervention Practices” study as affecting social service interventions in Arab society include a tendency to emphasize the present and tangible over more abstract future goals; the influence of collective social approval; agreement with a therapeutic professional out of respect for authority; reluctance to express emotions or share private matters with strangers; and the role of religion in analyzing and solving problems—including a strong sense of ‘fate‘ in determining outcomes. In addition to these cultural factors, the low socio-economic status of most communities within Arab society demand a higher degree of flexibility, creativity, and investment from program professionals while implementing therapeutic services. Two studies in the series "360 – The National Program for Children and Youth at Risk Learns from Success" focused on the Arab and Bedouin populations. Each study examined three success stories from the implementation of 360 programs that demonstrate the impact of culturally adapting intervention practices, indicating regular involvement by participants and showing that the adaptations succeeded in engaging populations who might otherwise have avoided interventions. The three successful intervention stories within the Arab population included the integration of fathers in the Family Experience Program in Shefar'am, in which eight fathers were consistently engaged in a parent program for preschool-age children at risk; the establishment and operation of a "warm home" for girls at risk in Akko, in which 70 percent of the girls in question participate regularly; and a mothers' group in Qalansawe, in which mothers were successfully engaged in a discussion series on sexuality and sexual assault. Case Study: The integration of fathers in the Family Experience Program in Shefar'am is considered a success, as most Arab fathers do not attend or involve themselves with parent programs. Mothers often report lack of cooperation, appreciation, and communication with their husbands in implementing professional help to care for their at-risk children. As a result of the adaptations, eight out of 15 fathers consistently participated in the meetings, some participated in activities in the home as well, and mothers reported better cooperation and communication between themselves and their husbands. Families in the program also formed lasting relationships and became acquainted with other resources in their municipality such as the library and theater. Cultural adaptation: The familial status of the men was respected, with an Arab male professional contacting the men personally to introduce the program and schedule a meeting with their approval. During the first meeting, the men sat apart from the women with the program professional, for coffee and friendly conversation. Meetings were scheduled on weekends and caretakers looked after the children to allow parents to participate. Breaks were given to allow time for prayer. The parents were consistently given positive reinforcement for attending the meetings, and mothers were advised to give their husbands positive feedback for participating and encourage them to persist. Creating a pleasant, social atmosphere: Each meeting began with coffee and cake and social conversation, with the men and women sitting together in a circle. Humor and casual conversation were used throughout to create an informal atmosphere. Putting the family and child in the center: The program was introduced to the fathers as a rare benefit from the municipality that they were chosen to receive, and the importance of the program and their participation to the child was consistently emphasized. Listening to the parents and their opinions: Parents were consistently asked to give feedback on the content and activities they needed and sought to receive. Time was allotted for open conversation and feedback in every meeting. Sharing feelings on a consistent basis: During discussions in the larger group, every parent was given the opportunity to speak and respond to prompts, even when this extended beyond the scheduled time, and no one was skipped. The three successful intervention stories within the Bedouin population included the establishment of the first child-parent center in Rahat, which provides services for children with emotional and behavioral problems and their parents, and is now working at full capacity; establishment of a parents' program for first-grade preparation in Neve Midbar, which engaged 120 participants in the first year and 320 by the second year; and the development of a local intervention program for children with difficulties in early childhood education in Ar'ara-Kuseife. Case Study: The parents' program for first-grade preparation in Neve Midbar is the first of its kind in this Bedouin regional council (comprising 4 towns), despite the prevalence of such programs in general Israeli society. Prior to the program, parents in the area were largely unaware of the importance of pre-school education and unfamiliar with how to prepare their children for first grade. The success of the program can be seen by the increase in participation, from 120 children in the first year to 320 in the second year, as well as in the active participation of mothers. Flexibility in adapting interventions to needs in the field: After noting the barriers Bedouin children in Neve Midbar were facing when integrating into schools, program professionals adjusted an educational model for first-grade preparation that had been previously implemented in the Bedouin city of Rahat, in order to comply with Ministry of Education requirements. The model was chosen for its compliance with national requirements and relative flexibility. The locality chosen for implementation was the town of Bir Hadaj. Investment in the team and in teamwork: Initially, the Bir Hadaj pre-school teachers were skeptical about the program and were not fully cooperative. Program professionals worked directly and consistently with these educators, emphasizing the importance both of their role in implementing the program and of engaging mothers. The program staff underscored that their purpose was to help the children rather than supervise the teachers. This personal, continuous outreach to the teachers and the focus on the children eventually succeeded in attaining their active participation. Persistent engagement of mothers: Program professionals persisted in engaging mothers of pre-school children and set their participation as a goal despite the insistence of local staff and authorities that the effort was futile. Meetings were scheduled a month apart as Bedouin mothers are generally unable to participate more intensively in scheduled programs. With personal invitations and consistent encouragement and engagement, a substantial number of mothers participated in the meetings and gradually deepened their engagement. Each meeting began with a conversation between the mothers and program professionals on preparing their children for first grade. Engagement of local council: Program professionals personally and repeatedly invited all local council members to the final meeting, with the goal of highlighting the program's success in engaging parents and in order to create a programming bridge between the council members and parents. The head of the council attended the meeting along with other local council staff. Solving logistical limitations creatively: In many cases, the program budget was not sufficient and the staff improvised solutions, contributed personal resources, and sought donations and additional budgets. Staff worked overtime to prepare for meetings and devise solutions. Family engagement: Every program included in the studies entailed the engagement and participation of parents, with special efforts made to engage fathers in activities, as was successfully done in Shefar’am. In the Rahat child-parent center, a fathers' group was initiated even though this deviated from the standard program and budget, and 15 men, many defined as violent, participated consistently and stated this was their first opportunity to discuss their personal struggle. Culturally adapted outreach: Consistent and persistent outreach by professionals was noted as crucial in nearly all success stories, meaning personal and direct contact, follow-ups, and reminders up to the day of activity. Stressing the general and monetary value of the services and that they were provided as a special benefit, rather than labeling them as an intervention or obligation, was a successful tactic. Professionals across the programs empowered parents by emphasizing the need for their cooperation, support, and input. To avoid deterring parents, sensitive subjects such as discussions on sexuality were first introduced indirectly and then gradually integrated once participants were already engaged in programs. Culturally adapted content and activities: Professionals in each community modified activities to suit the cultural sensibilities of the participants, sometimes learning what was most effective as the process continued. For instance, noting the conservative nature of Bedouin parent groups, professionals incorporated activities beyond discussions and sharing, such as lectures series, enrichment courses for women including jewelry making and cooking, field trips, and more. Religious references were used to support certain theoretical subjects, another example of a cultural adaptation. Universal/neutral frameworks to destigmatize services: Activities concerning sensitive subjects in Arab society were framed in a neutral way in order to avoid negative labeling and attention. For instance, the mothers' group on sexuality was held in a Qalansawe school in cooperation with the school counselor rather than in a framework for disadvantaged populations such as the social services department; and the Akko "warm home" for girls at risk in was established in a stable neighborhood with a sign stating "club for girls" rather than "club for girls in crisis." Culturally adapted timing: Activities for parents were planned at times that would optimize participation. For instance, activities for Bedouin mothers were held in the afternoon, as most Bedouin women do not leave home after dark. Certain activities were purposely planned around religious holidays. Home visits: This method was used in all programs that involved the welfare of children and youth. Professionals in the Bedouin community observed, for instance, that mothers who are well dressed and seemingly stable can be living without basic facilities such as a bathroom and shower in their home. Cultural competency among professionals: All programs involved professionals native to the population in question who were familiar with its culture and lifestyle and could relate to the participants. Professionals outside of these communities noted having to adjust their Western outlook in order to assess and address the needs of participants. For instance, those working in the Bedouin population noted that lifestyle aspects that might be alarming elsewhere in Israel – such as sleeping on mattresses on the floor or children walking barefoot – are routine in Bedouin communities. Across all programs, Western-leaning educational emphases, such as not raising one's voice at a child and speaking to them at eye level, were balanced with attention and respect for the traditions of the populations in question. Inter-communal & institutional cooperation and outreach: Cooperation with schools, municipalities or local authorities, and the local population were noted as highly important to successful intervention. Personal acquaintance with local figures above and beyond a working relationship was emphasized as a significant factor in conducting effective outreach, securing resources, and gaining local support for continued program operation. This report, separate from the two 360 program reports, summarizes cultural factors that affect attitudes toward intervention, as detailed above, and then explores and recommends strategies that address these aspects of Arab society. Developing services/programs within universal frameworks: Merge therapeutic services with universal or general service frameworks to avoid the stigma associated with issues such as mental and psychological challenges. Conducting meetings in religious institutions (mosques/churches): This can raise awareness and encourage utilization of services, as does involving religious figures in aspects of interventions. Informal outreach – use of social networks: Use informal channels such as social and familial networks to encourage utilization of services and programs and to achieve early-stage intervention. Use of telephone or internet hotlines: Studies have indicated differences between Arab women and men's openness to seeking help in times of crisis. Arab women are less likely to turn to friends or relatives for help, fearing they would tarnish the family name, and far more likely to use crisis hotlines. Hotlines also help bypass limited access to physical resources, a prevalent barrier in Arab society. Home visits: Home visits make services more available and spare families from leaving the home and arranging for childcare. Confidentiality: When addressing sensitive issues such as mental or chronic illness, professionals should emphasize their commitment to complete confidentiality to ease participants’ fears of stigma. Offering adapted intervention options: Cultural characteristics should be taken into account when considering intervention methods. For instance, with individuals who have difficulty expressing emotions due to cultural constraints, professionals should be more active and dominant. 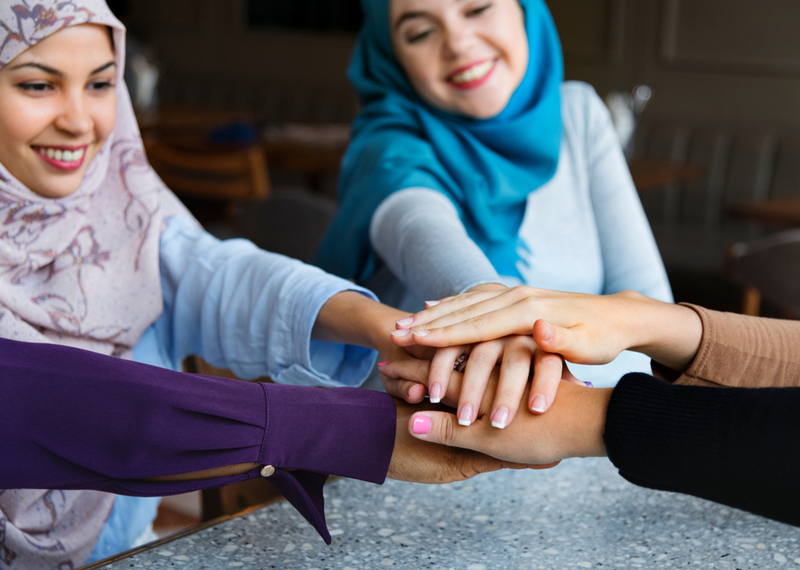 Group activities focused on personal skills such as communication, dealing with stressful situations, and problem solving are particularly helpful, as the interpersonal space is very influential in Arab society. Legitimizing discussions on sexual violence: Reducing the taboo around the topic of sexual violence provides an important layer of support for victims particularly in cases where these taboos manifest in placing responsibility on victims. Encouraging girls in crisis to seek help and destigmatizing relevant services: Arab girls in crisis are often afraid of both talking to their family and seeking outside help, as both put them at risk. For instance, most Arab girls cannot independently decide to come to a "warm house" for girls without permission given from their father to a professional. The facilities in which services are provided for these girls should also be de-stigmatized, which entails several methods such as strengthening ties with the local community by involving them in certain activities. Gender of the care provider: Generally, Arab men and women prefer a care provider of their same gender, which allows them to feel more open with the intervention professional. When the professional is of the opposite gender, cultural factors often dictate certain conditions such as proper physical distance, minimal eye contact, and use of specific vocabulary. In cases of gender bias, particularly in group settings, it is important to reinforce the status, authority, and accessibility of the professional. Home visits: These allow professionals to observe family dynamics. They can also create bonds with key figures in the care recipient's life, and are often interpreted as a sign of respect toward the father and his family. Respect toward the head of the family/engaging the men: With engaging fathers a key element of successful interventions involving families, outreach to more traditional Arab men is more likely to succeed if it follows certain codes of respect, such as direct contact via phone or a home visit rather than through their wives. In certain cases, it is best to present the motive for intervention indirectly and gradually. Adapting activity times and content can help engage men in certain cases as well. Respect toward family hierarchy: Intervention practices should account for social values regarding gender, age, and family birth order in more traditional Arab families and communities. While Western intervention practices assume equal treatment for both genders, traditional or religious families often assign different roles to men and women. Studies indicate that a positive integration must be made between a worldview that encourages equality, independence, and individualism, and a traditional worldview that wants the child to obediently preserve the past, otherwise care providers may end up alienating the family. Engaging the extended family and identifying members who can help: It is important to involve extended Arab families in the intervention process given their importance in the life of the Arab individual. This involvement has been shown to increase the effectiveness of interventions, and to mitigate inter-generational conflicts and contradictory messages from the different adults in a child's life. Generally, professionals should know the family well and map its strengths, interpersonal relationships, and key figures who can help the care recipient. Family values as a consideration in choosing intervention methods: Studies show that intervention professionals must take the familial-cultural identity and orientation of the family into account, as it can indicate their potential reaction to interventions. For instance, traditional families may object to treatments focused on self-realization or those that address repressed issues. Examining the implications of personal problems on the family and society: Given the collectivist nature of Arab society, it is important that professionals address the cultural significance and implications of issues and their potential solutions, such as divorce, for instance. Led by the Ministry of Labor, Social Affairs and Social Services in partnership with the Ministries of Education, Health, Immigrant Absorption, and Public Security. Additional partners in program implementation are the Federation of Local Authorities in Israel and JDC-Israel-Ashalim.